The new Mazda SUV lineup has received plenty of praise from reviewers, including the Mazda CX-5, which U.S. News & World Report ranked #1 among compact SUVs. The CX-5 also beats out the competition, including the Toyota RAV4, when put head to head. 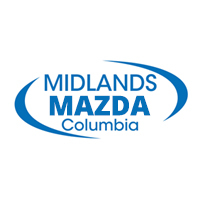 Get your new Mazda CX-3, CX-5, or CX-9 right now at Midlands Mazda, your certified Columbia Mazda dealership near Irmo. We have competitive financing, at professional Mazda service department, and convenient hours Monday through Saturday. Contact us today at (803) 832-1272.